Since 2005, the Puppy Bowl has aired on Super Bowl Sunday as an alternative for anyone who finds adorable animals more entertaining than traditional sporting events. Apparently that describes quite a lot of us, with millions of viewers expected to tune into the Animal Planet event on February 7. This installment will also include one extraordinary feature that sets it apart from years past: viewers will have the option to watch it in 360-degree virtual reality. 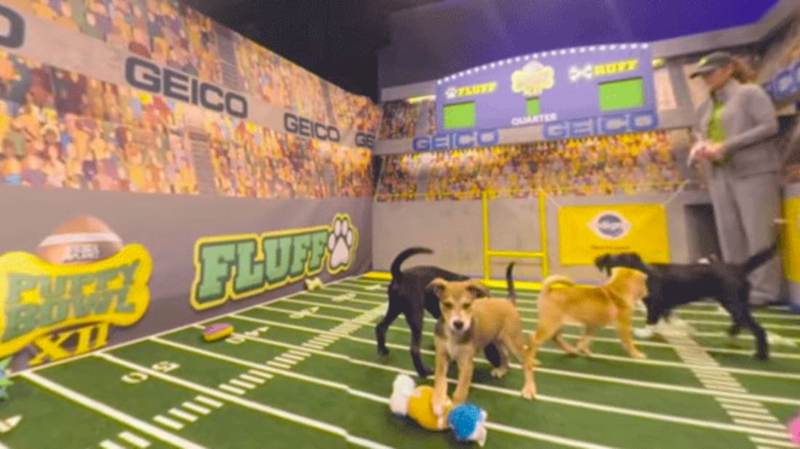 For the first time ever, Animal Planet is formatting the Puppy Bowl for a VR headset viewing experience. Using the Discovery VR iOS and Android apps, Samsung Milk VR, or on Animal Planet's YouTube page, puppy enthusiasts can access the immersive film footage on their phones and watch it using Google Cardboard or a similar VR device. This year’s game will feature the athletic prowess of 84 adoptable pups from 44 animal shelters across the country. You can get a 360-degree sneak peek at the upcoming event in the highlight reel below—just click and drag on the video to change your view.